We are a clan of peaceful travellers, artists, scholars and traders. Our success is determined by skill and patience. Adventures await! 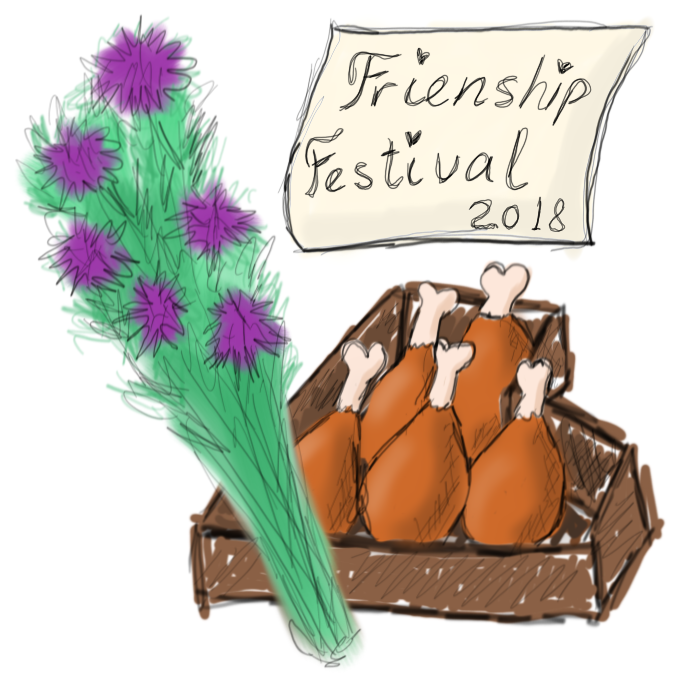 This is the main news feed of our clan: here you will see all the necessary info about the Voyagers, announcements for clan activities and proceedings, as well as any winners of clan competitions. For general clan info see the next few posts, for latest news see the last post. This feed will be present as a condensed version in the in-game clan message board. Important! This feed is for clan management use only. Please DO NOT comment/reply on any posts here (it will make the feed confusing and make it impossible to edit posts). 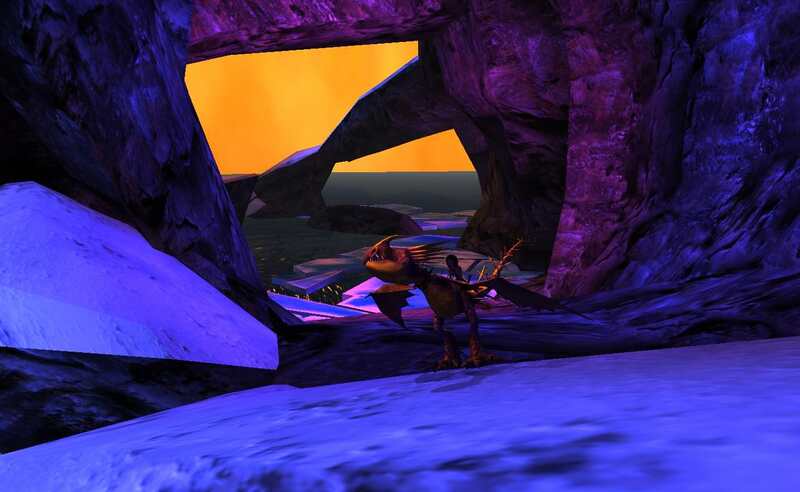 To post any discussions/questions/ideas/anything else, please go to "The Sunwing Voyagers clan letters" (our Q&A and discussion page) or post on the in-game message board. join the Dragon Training Academy. There I raised my very own deadly nadder, Ocean. trading a bit here and there and having adventures. 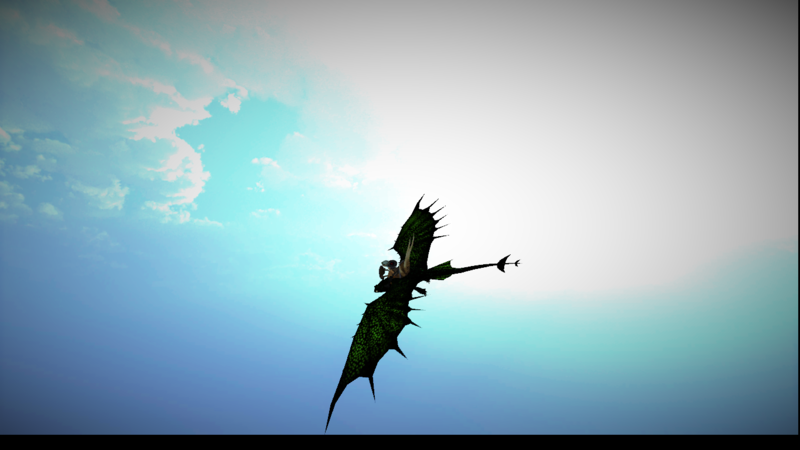 Ocean (Deadly Nadder, f) – my first dragon and travel companion. but sometimes dislikes sharing my attention with unfamiliar dragons. She did, however, turn out to be surprisingly good with dragonlets. She is a very steady and reliable flyer but does not much enjoy anything competitive. Viridi (Changewing, f) – the first addition to my exploration team. when it hatched, the small changewing was eager to stay with me. Ocean and me as part of her family and joined us on our many adventures. human habitations and is very helpful in the exploration of the wild. still very tiny and Ocean brought her up, becoming a sort of mother figure to her. can be quite difficult to have her around on journies, but definitely entertaining. but after a lot of work, she started listening to me too (most of the time). into various tools and trinkets. A list of other dragons I know can be found here. We fly to the edges of the archipelago and far beyond, expanding our horizons and exploring new lands. We are talented, creative and resourceful and we are ready to help any new friends we meet. 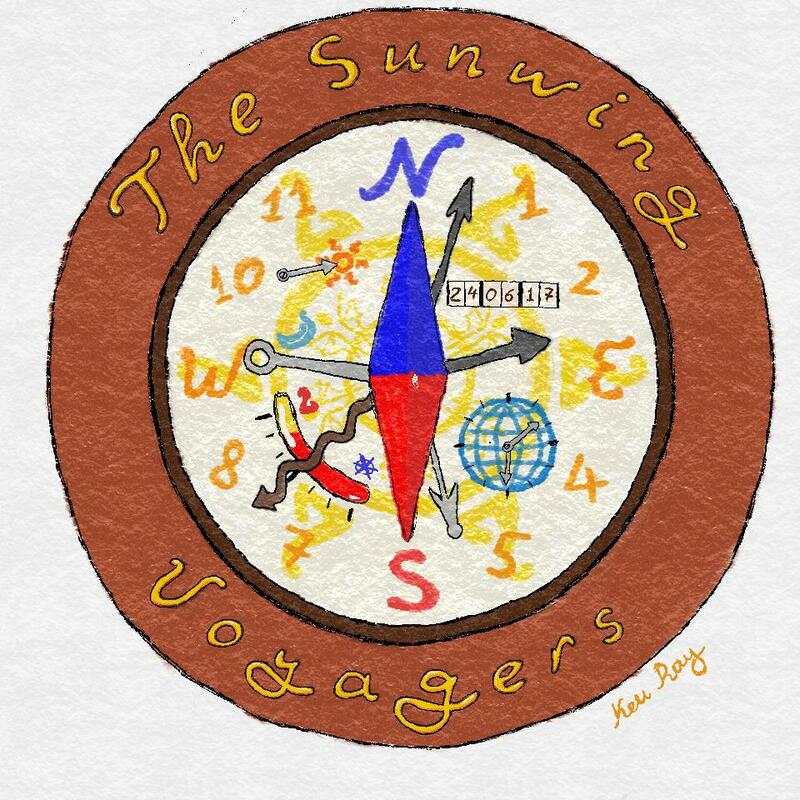 The Sunwing Voyagers are a peaceful clan and we prefer to settle any conflicts with diplomacy rather than violence. We love dragons and we are always ready to learn new things, using our extensive knowledge of their ways to aid people and dragons to peacefully coexist and help each other. This announcement page is no longer active, for the new one please go to "The Sunwing Voyagers Journal 2.0"
She's looking at you, yes, you. I thought I should mention that the no message rule on this topic does not include tracking messages. Hello fellow Voyagers! We are choosing a location to be our clan hideout. You can see the screenshots of the places and discussions in the clan letters. You will be sent a PM with the same info, where you should reply with the number of the place you like, or a series of numbers (in order of preference – from most to least preferred). If you did not get a PM, then PM me and I will fix that. If you do not have a forum account, send me a message in-game. If you do not like any of the locations or I accidentally forgot to add your suggestion, please make it known. A slight digression: I will leave in a week for a long journey to the Southern seas, and will only be able to reach you by terror mail (maybe - if it won't be too far for the terrible terrors) (i.e.. I will likely not have internet access for the whole of this month). This means, I wish you a wonderful final month of summer (and the competition will last all of August). 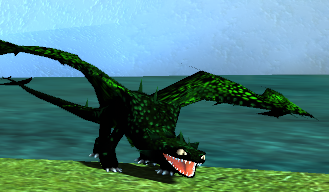 The competition will be a screenshot and caption contest with the theme "How do dragons spend their summer"
You will have to create a short comic out of screenshots (1-4 screenshots) with a funny caption(/s). The funniest comic wins! I will create a special thread in the "Screenshots" section of the forum with the title "How the Voyagers spend their summer". Here you will find the rules, deadlines and a place to submit your entries. 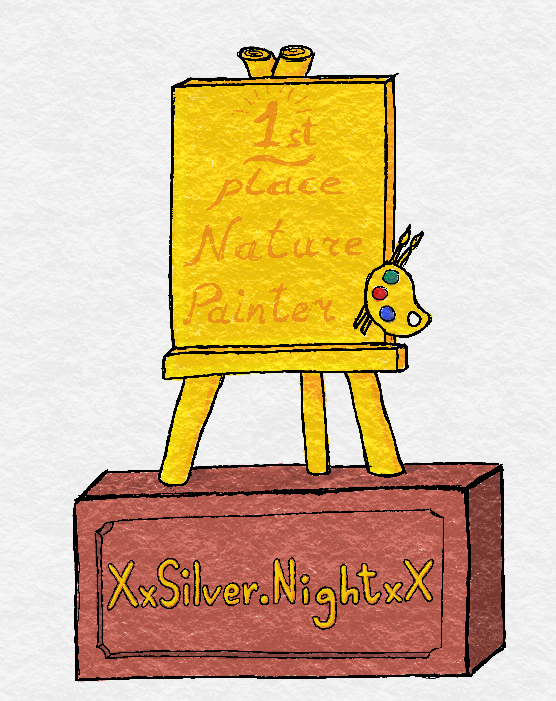 The prize will be a "nature painter" trophy with your name on it (and possibly something else - we can have a prize discussion later). Please do not reply to this post or any of the posts on this topic. How many strips are we allowed to submit? If you want to take a clan picture in our new hideout, lets organise a meeting in the clan letters (I'll replace the current screenshot with the group one). How the Voyagers spend their summer- WINNER! I proudly present her with the "Nature Painter" trophy and the right to choose a clan event that I will try to host in September (or early October) for her lovely comic featuring her viking Silver and Toothy the sand wraith. Silver: Toothy what are you doing? Silver: Come on, mount the saddle and come here! Toothy: Nuuu, the fish noo!! Silver: Good job Toothy ^-^ And now let's fly! I also want to say a big thank you to our other participant and runner up ShiroKageFox ! This very stylish comic features Balefire with her gronckle Eira. Important! This feed is for announcements only. Please don't post anything here (except for tracking) or reply to any posts - it will make it crouded and prevent editing. After what I hope was a great summer for everyone, school & university are back. To start off a good academic year, I think we should have our first official in-game clan get-together! 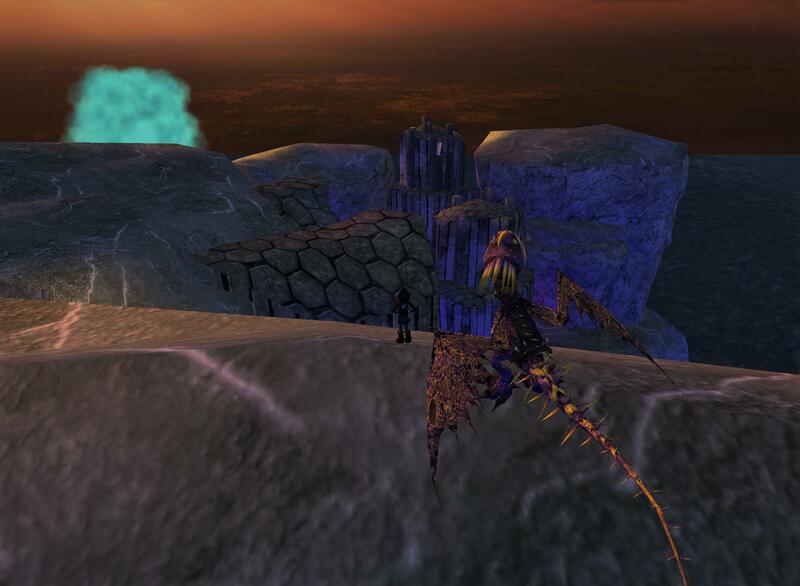 Now I know our members are expert dragon flyers, but how good are you at adventuring without your dragon? 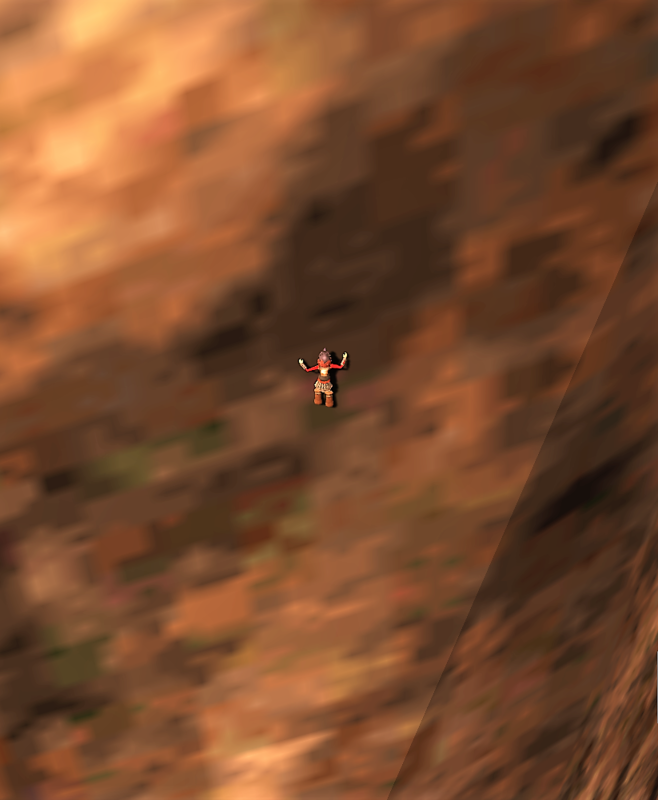 To test this I want to announce a mountain climbing contest! 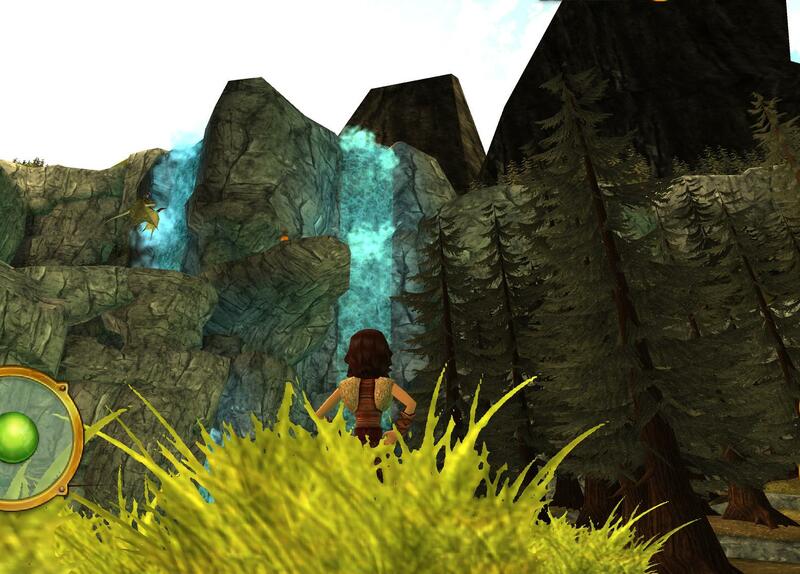 You have to start at the camp and on the signal, try to be the first to reach the peak over the waterfall. After the race, we will head back to our clan hideout for our first official clan meeting - the goal of which is to make a picture off all clan members who can attend. Maybe I can make the first provisional clan banner from it :) You can wear whatever best represents your OC, but please wear a shield with our clan emblem. I hope to see all of you at the get-together! Important! This feed is for announcements only. Please don't post anything here (except for tracking) or reply to any posts - it will make it crowded and prevent editing. As it turned out to be problematic to get everyone in one place at one time in this busy season, the get-together plans have to be put on hold for an undetermined amount of time. 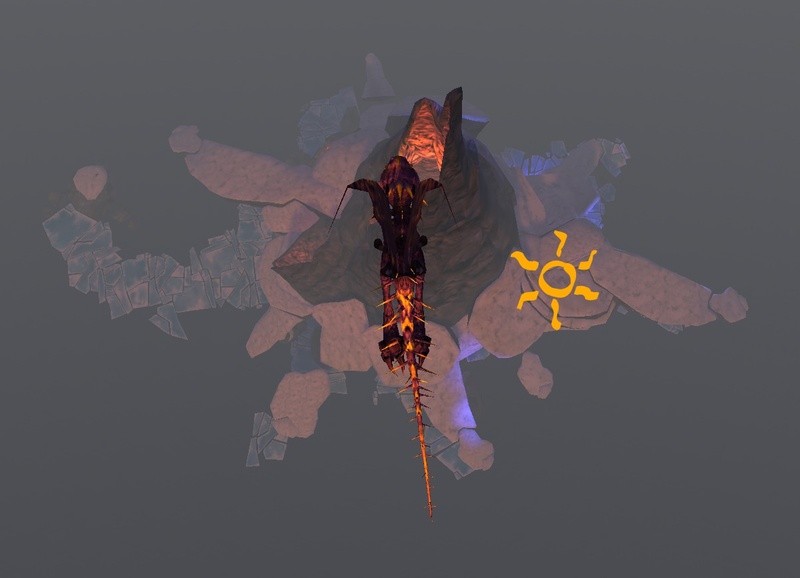 Show your skills by making a screenshot of your viking standing heroically at the top of any mountain in the archipelago: there is only one condition - you should have scaled the mountain on your own from the very bottom, without the help of your dragon. 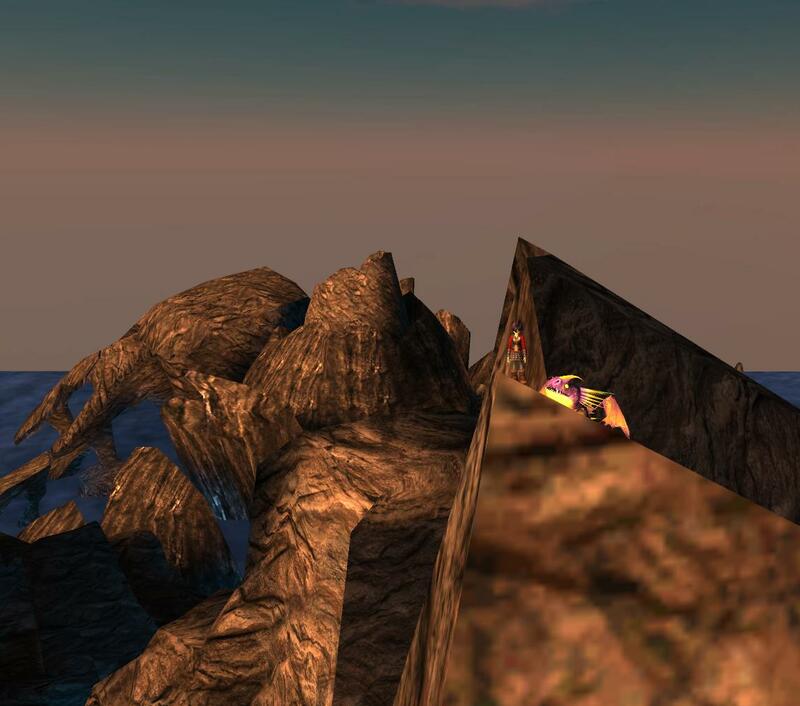 Scaling the cliffs on Armourwing Island and Dark Deep. 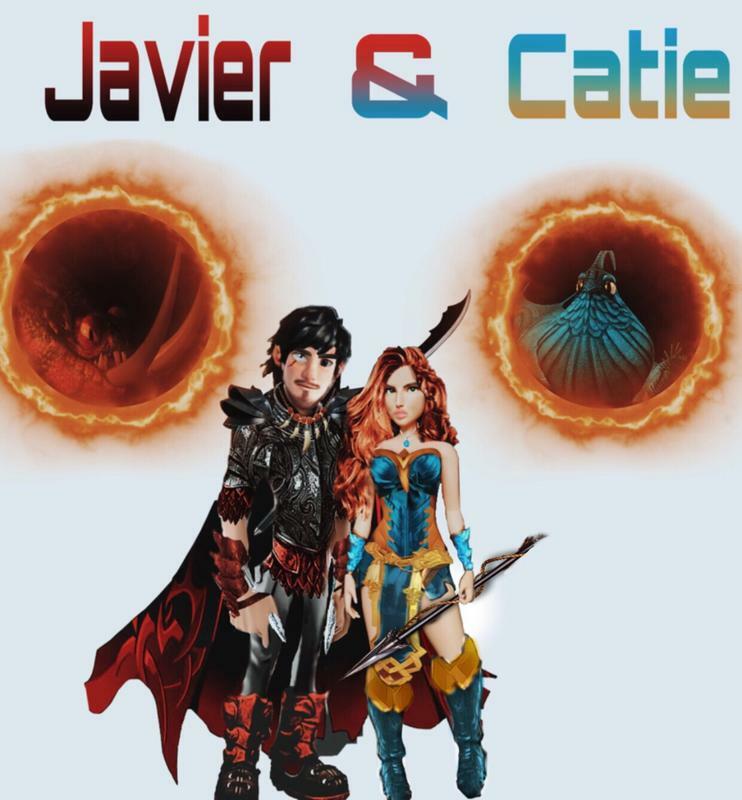 I would like to present all of our members with a ticking thing of my own making (HTTYD book series reference). It includes a compass, watch, thermometer, chronometer and other things I'm not even sure about myself. Feel free to add it (or not add it) to your signature. 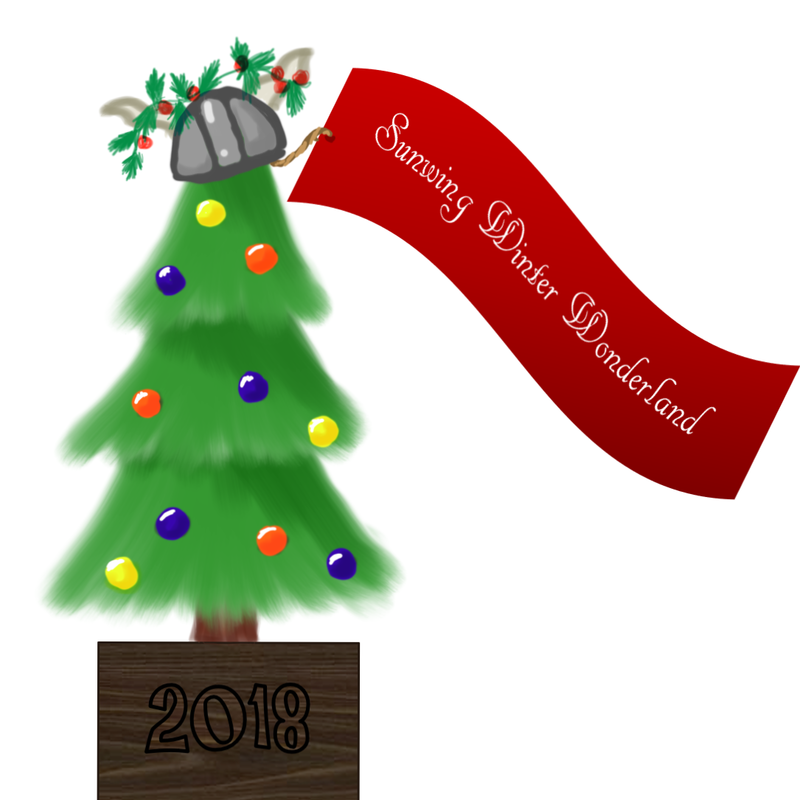 I hope you are feeling adventurous, because what is a better way of celebrating Dreadfall than going on a treasure hunt? While cleaning out my storehouse, I have found an old pad-locked box and a riddle to go with it. I'm hoping you can help me decifre these clues and find the code. At the School, Toothless is guarding a tree. How many pumpkins are there? Hint: not three. Count the barrels if you are brave. Look out in the cave in the dark. How many fires crackle and spark? How many fish are leaping free? Hobble up to the cliff that looks like a claw. How many smaller claws can you see below? How many narwhal pods can you see? There are how many wooden docks? Down at Berk the fires are green. How many can be seen? And count all of Ruffnuts’ and Tuffnuts’ balloons. When pirates are close, you have to go under water. How many colors of fern can you spot… er. If you want to enter the treasure hunt, please send me a private message stating which one of your dragons you are taking with you. 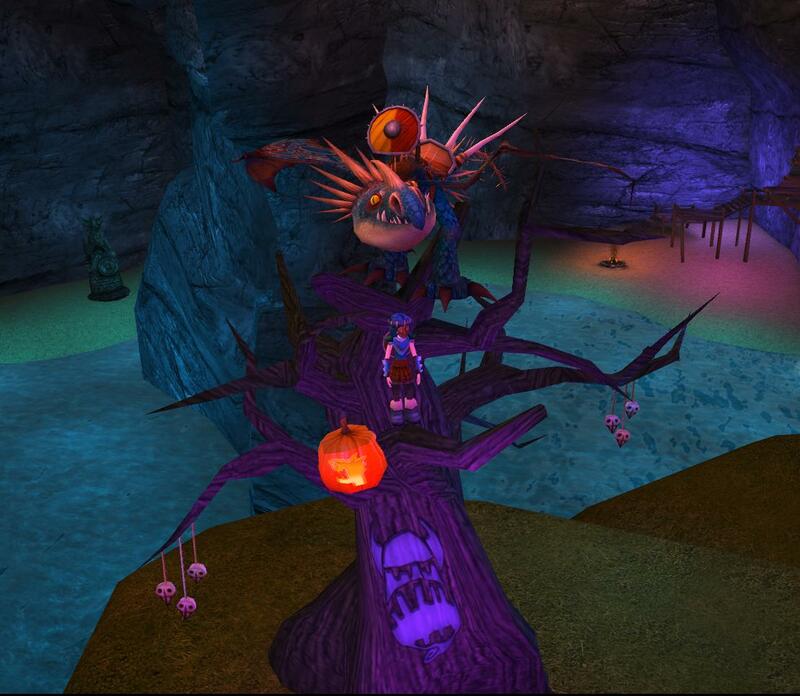 The prize will be a spooky signature decoration with your dragon in it. Please only send me the answers through private messages - or it won't be any fun for others. Please do not reply to this post, as I need to be able to edit it! Hey I'd like to join this clan. Do I need to have some trophies or I can enter? Picture made by X Katerina Pettrova X THANKS SO MUCH!!!!!!!! Nope, trophies not required. You're welcome to join! CloudStream welcomes you to my siggy! Thanks SOO much to Rebell for making my Profile Picture dragon edit!!! I may get mad if you do these. - one important thing you should know is that there are many untrue rumors about Mormons on the internet. Apearence: scroll down a little and you'll see the artwork! Personality: freindly, but socialy akward, loyal, compasionet, weird but in a good way, its part of her charm, with a sense of humor that sometimes leaves her standing akwardly when no one gets it. She is a very loyal person, and will not switch to the opsoing team, give away information, or help them if she is on the side she knows is good. However, while she is very loyal, it takes some time to for her to trust someone, and until then is figuring out if they are a good person to trust. There are reasons, however, that will get her to break the rules, for example, going off to free trapped and caged dragons from dragon hunters despite being told not too (thats how she met CloudStream). She hates any kind of serious harm to people, which is why her arrows (more about them later on in siggy) only freeze the targets, not hurt. She also will try to get people to aviod injuring others when possible. 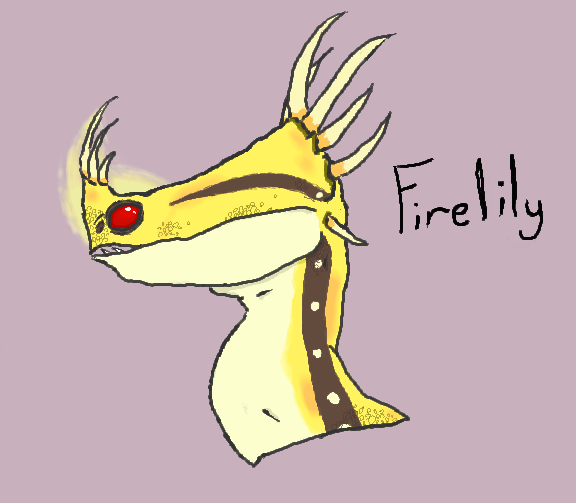 ^ This awesome drawing was done by Fireflash! Thank you sooo much! ^ By Alina Wildfire! Thank youuuuuu! About CloudStream: She is protective, loyal, and compasionate. She thinks of others before herself. She never shoots to kill, only injure if needed to protect. 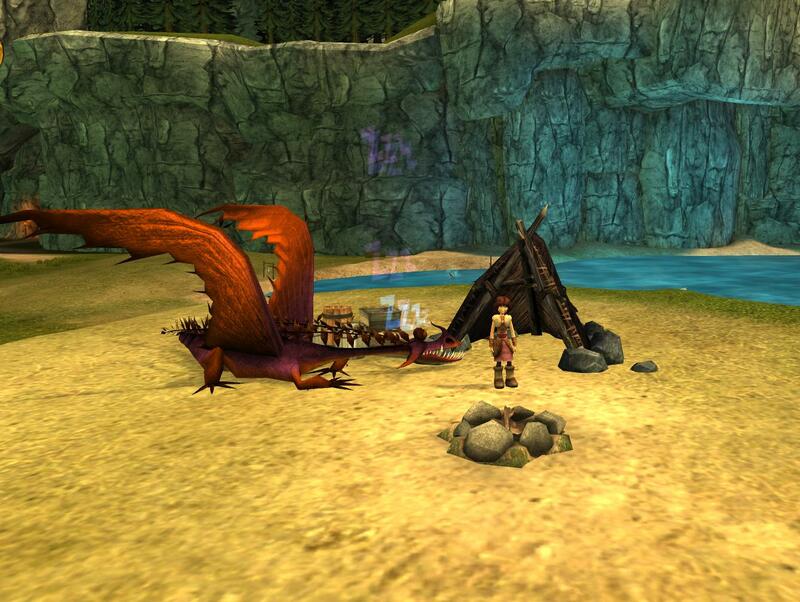 Cloudstream rescued her rider, Geveda, when she was attemting to free dragons out of cages in a dragon hunter camp. She was rather closed up at first, but warmed up to Geveda after Geveda proved to her she was trustwothy, and they formed a close bond. She loves speed and feeling the wind in her face, and often does stunts with her rider (however she pushes the limits of how daring they are, as Geveda is more catious than CloudStream)She, liker her rider, is very loyal. Her main and first loyalty lies with Geveda. It takes time and good actions for her to trust others. She is very determind and has a strong willpower. Weaknesses: Sometimes she doesnt listen and does something anyway if she is determind to do it, which gets them in trouble sometimes. She does not give up easily, which can be bad if there is a need to stop. 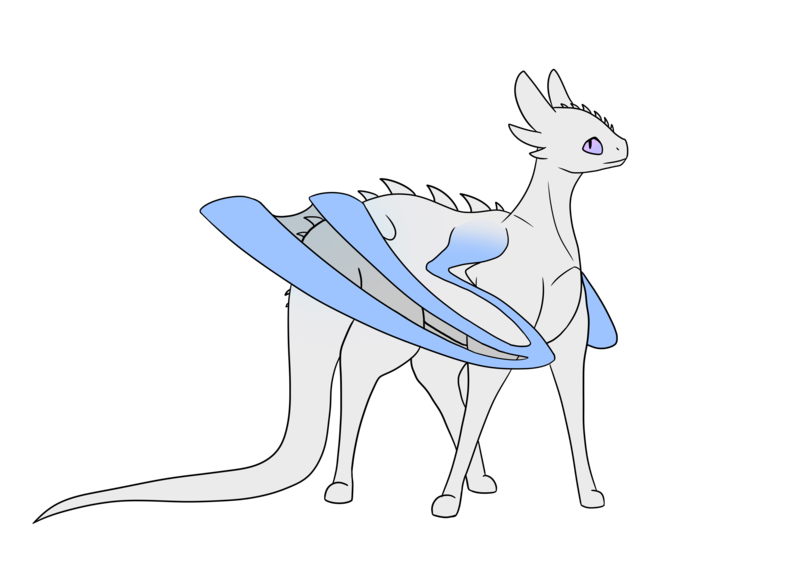 ^ This adorable and amazing dragon was made by LissaFish! Thanks! ^ This was drawn by Mystery-Venomnshift - thanks!! I am proud to be Hufflepuff! I would like to announce that the winter break has officially started for me and that means that within the next few days (once I start feeling more or less alive again :P) clan activities and contests will begin, so watch this thread! Please do not reply directly to this comment, or I won't be able to edit it. All winter break events will be announced on the Sunwing Winter Wonderland topic - have fun! Please don't reply directly to this post. but also has a festive Snoggletog corner. End of the Year announcements! 1. 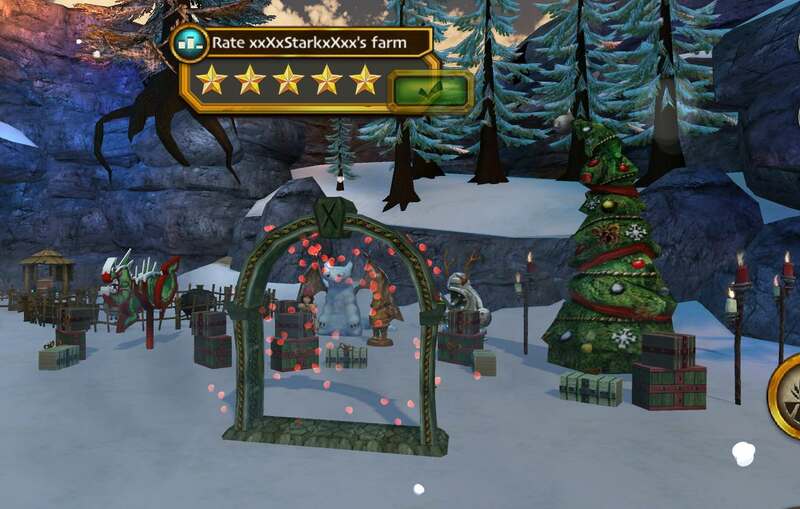 I want to congratulate our very first elder, xxXxStarkxXxx (XxSilver.NightxX). She has participated in (and won!) most contests this year, proudly displays our clan emblem in her signature and collaborated in a banner design. A round of applause please! Silver, you can adress a few words to your clan members if you like (just pls don't reply directly to this post). 2. I also want to thank another person, Wutend Bonfire, for being enthusiastic about the clan and designing some great banners. She also definitely has point towards becoming an elder. Thank you and congratulations! 3. This year two banners have been designed by our clan members, one of which, I'm ashamed to say, I forgot to show. Another one, a collaboration by Wutend Bonfire and XxSilver.NightxX, can be foun via this link. Pls don't reply directly to this post - I might have forgotten to announce something. lose is pronounced like ooze but not like hose, whats with that? im having 'breakfast' at 1pm and haven't slept before 1:30am for a solid week. im gonna be a great elder. 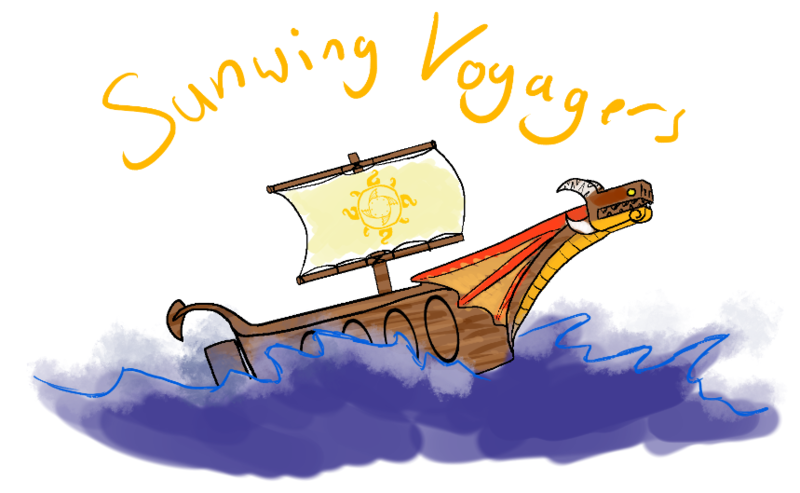 I've been thinking about this for a while, and I have decided to make Sunwing Voyager collectibles. Now, with every big contest or event, a collectible will be released for anyone who participated to feature in their signature. simply copy and paste these parts into your sig and size them down to width 600, then copy and paste the collectibles (size down to 200x200) between the layers (you can see an example in my sig). 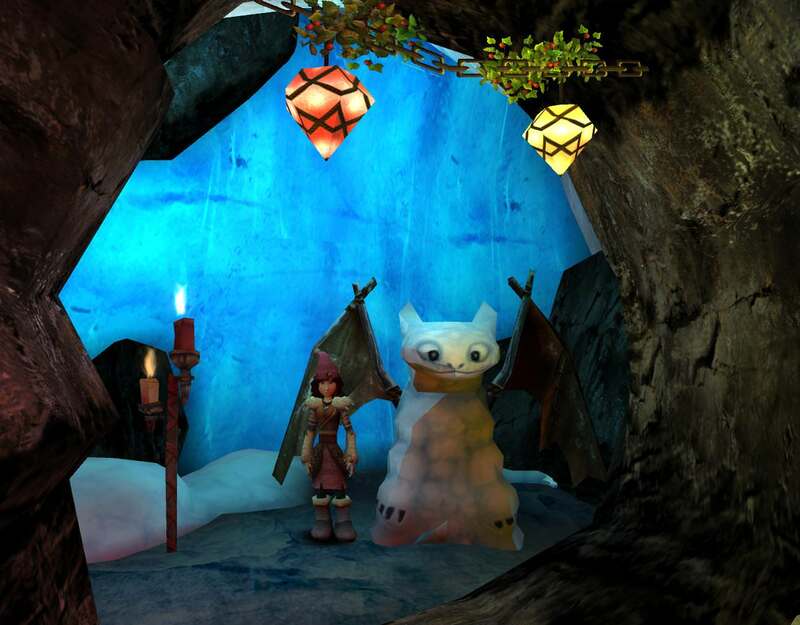 The first collectible can be found on the Sunwing Winter Wonderland page, and everyone in the clan can have one. Pls don't reply directly to this post. Theme: What sort of love poems would vikings send each other. Pls, don't reply directly to this post. As you might (or might not) know, the Clash of Clans is starting on the 5th of March. I have never before taken part in it, but apparently the winners will get cool prizes. This is where ALL the Clans in School of Dragons will need to give it their all because we will only choose the Top 8 Clans dependent on the highest Trophy Count to move onto the quarter finals. The top 8 Clans will be paired with each other to battle for the opportunity to move onto the next round of competition. The winning Clan with the highest Trophy count out of the two will move onto the semi finals. The top 4 Clans will be paired with each other. The winning Clan with the highest Trophy count of the two will move onto the finals. This is the last round of the Tournament. The championship game. It’s essentially Odin versus Thor so you definitely don’t want to miss out on this sky-high battle between the Top 2 Clans in SoD!" "To win each round and ultimately, the Clash of the Clans Tournament is simple – earn more Trophies than your opponent! Note that we take the number of Clan members and the number of Trophies you earn in each round into consideration. Therefore, even if a few Dragon Trainers in a specific Clan have been more active than others, it does not mean they can outweigh the average of their entire Clan." Honestly, I don't know if we have a chance or not and I am going to be buisy the next week, but I am going to try my best to earn trophies and I hope you will too. You will also notice two clan members missing - don't worry I'm not chasing anyone out of the clan, I'm just temporarily booting an account of my friend (who I know is not going to be active anytime soon) and my second account - I'm just not sure if me participating from multiple accounts is cheating or not and I don't want them bringing down the average. Our new clan Discord channel. I went ahead and created a discord channel specifically for our clan as an experiment. Discord will give you an option to download it as an app - don't do it (I haven't tried it and I don't know what will happen), just follow the option "Open Discord". My original post about this is on the clan letters - which, along with the journal, will still be functioning. I can not answer for the whole Discord community, nor can I guarantee that you won't find something you don't want to find there, so I strongly encourage newcomers to keep to the channel I created. The journal will still be the main announcement page, but I will notify on Discord when I post something here. If the discord thing starts causing any trouble, the channel might be closed without warning - so be Warned! Also you will be asked to verify your identity as a member of this clan - I will send you a code word through PM on this forum and you will have to text it in discord. 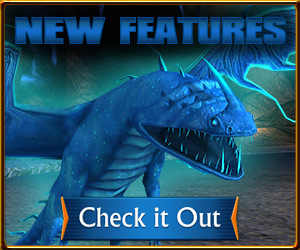 Click here to see if your dragons can succeed in their quest for the sunfruit in The great dragon migration! I have been very inactive the past few moths due to studies (my apologies), but now I am back and I want to revive this clan. However, before I start working on it, I have an issue I want to bring before current clan members. I have been thinking for quite a while, and I am considering removing the no membership/ no gems rule. Memberships and gems make gameplay too easy, people immediately get all the dragons, max out on all levels/achievements, complete all the expantions and become bored by the game, soon leaving. Besides, having 50+ dragons, in my opinion, undervalued the idea of the a movies about having a special rider-dragon bond. I felt like putting in more effort and patientce makes the game more interesting and realistic and wanted a clan of like-minded people. 1. I have seen people who have / had memberships and have been playing for years. They are still interested and invested in the game and, despite having loads of dragons, have backstories / connections with them. 2. Even though I wouldn't get membership for myself because I usually don't spend money in online games, I really like the SoD game and think that the creators are doing a pretty good job (even in the light of the current issues brought by the update - *cough* constant server timeouts *cough**cough*). I think that they deserve to make some profit. I don't flatter myself that someone would avoid buying a membership to be in my clan, but I still don't want to descourage anyone who has carefully thought about it and wants to get one. 3. I want this to be an active clan with active events and I feel like we really need more people for that. My vision for the future of this clan is a non-competitive, gameplay/events based/ maybe even RP clan. I still plan to emphasize the peaceful/friendly/non-conflict nature of the clan. So I would really like to hear your opinions on whether to waive the non-members rule before advertising a new round of member recruitement. Also I am curious about who is still paying attention to the clan, so even if you don't have an opinion on the rule, please make yourself heard (inactive members might get expelled if the recruitment get very lively). Feel free to respond on this thread, but pls don't reply directly to this post. I personally think you should go ahead and allow members if you'd like. I don't know if I'd become a member myself, although I have considered it, but I don't think that should always be a restriction. As for my activity in this clan, I really haven't been on lately. I love the game and this clan and being "Eratagh" and it's always been the perfect escape to just log on and fly around a bit. However, I just graduated high school and I'm going away for the summer. I'll still have internet and now that I'm getting a laptop I'll have better access to the game and this forum but I don't know how much time I can dedicate to playing. When I get back in early October I'll have more time and I don't plan on starting classes until January or maybe even Spring. I'd love to keep being a part of this community but in the near future it isn't that realistic. So I apologize in advance and I'll try to keep in touch via Discord (if the Discord is still a thing we're using lol). First, some basic stuff about irl me. Here's some more in-depth stuff (if you care). I'm an ex-percussionist. I prefer mallets but I dabbled in snare and occasionally set. I read. A lot. Mostly fantasy and sci-fi but I'll read just about anything. I also listen to a lot of music. Just about anything. I write sometimes. I'm not very good at it and I'm never proud enough to share my work but it can be kinda enjoyable. I've done RP before. I don't have a lot of experience, though. If I come across as impatient or rude or anything of the sort, I apologize. I'm not good at the whole "people" thing. I have an incredibly twisted sense of humor so anything goes with me as long as it's actually a joke and it isn't directed at one specific individual. I don't like bullies. I'm a high school graduate and I plan on starting class at a community college in January. If I was straight, my cat would be my wife. Enough about "me" me, time for "HtTYD" me. 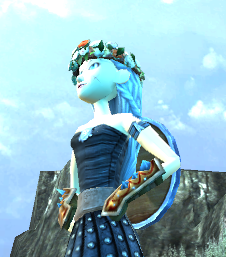 A young viking named Eratagh arrived at Berk just around Dreadfall. Ever since he was a little boy, he’d always loved dragons. Unfortunately for him, his village didn’t. His people were dragon trappers, and when they weren’t selling their “prizes” to the highest bidder, they were sacrificing the dragons to the wicked God they worshipped. 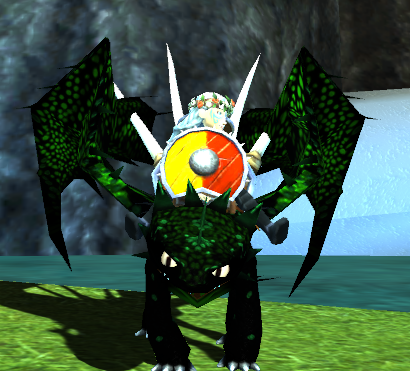 Eratagh refused to hurt any dragons and he swiftly became the outcast. He wanted nothing more than to leave that awful place behind but he didn’t know how, or where he’d go. Then, one day, Eratagh was down by the docks when a trader mentioned an island of dragon riders and presented a map. The island was called “Berk” and it wasn’t too far away; he could make the trip in less than a week. After the trader had put the map down again he crept over and stole it. He immediately packed his things and left in a small boat, vowing to never return. Upon his arrival he began to meet the Chief, Hiccup, and his dragon but their greetings were cut short by the sound of warning horns. A viking from Eratagh’s island had seen him steal the map and now three ships filled to the brim with dragon trappers were attacking. 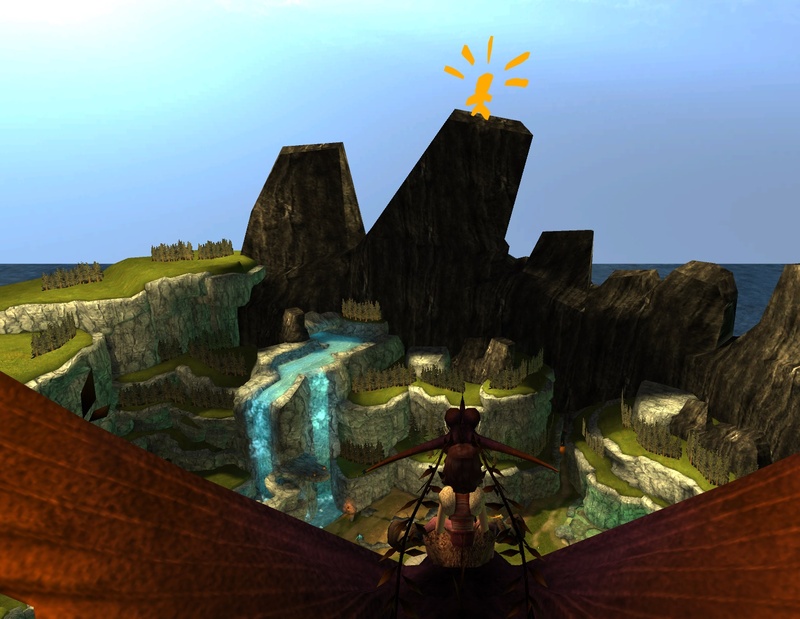 Hiccup asked for Eratagh’s help to fend them off and after their victory, the chief pointed out a caged dragon on the beach. It was a Flightmare. 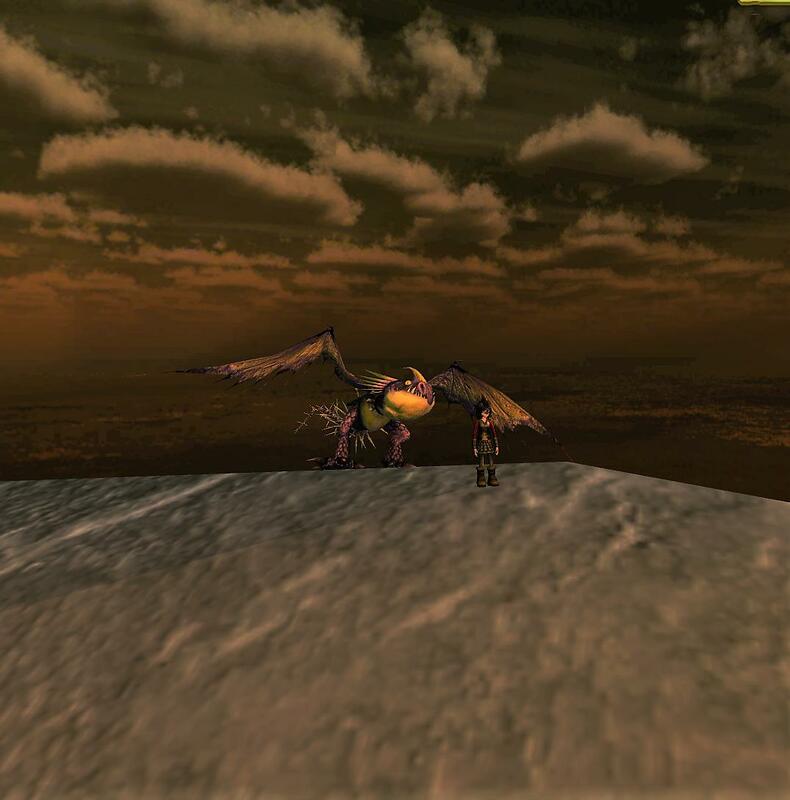 Eratagh freed the creature and bonded with him, naming him Frightfoot. Eratagh is a cheerful rider that loves to crack jokes. He isn't happy-go-lucky but he is an optimist, and you rarely see him down. Era, like everyone else, has some problems but he tries to just ignore those feelings and make the best out of what he has. He's a pretty decent warrior, although he prefers to talk things out, and he's very handy in a pinch. Fright is incredibly sarcastic and snarky and Eratagh’s really the only person that can get him to behave. Despite his playful nature, he is loyal to a fault, and would do anything for his rider. His favorite pastime is gliding peacefully over the ocean with Eratagh on his back. "Being human is the most terrible loneliness in the universe." "Porthos dreams of being a bear and you want to shatter those dreams by saying he's *just* a dog? What a horrible, candle-snuffing word! That's like saying, 'He can't climb that mountain, he's just a man' or 'that's not a diamond, it's just a rock.' ...Just"
"The biggest life-savers and inspirations seem to be the ones who need saving the most." Yeah, it's ok. I'm going to try and come up with activities that don't consume a lot of time. I'm also not sure how often I'm going to be online - there is always some sort of real life thing that interferes just when I think that "Now I have a lot of time to play" XD. There are currently 27 users and 161 guests online.